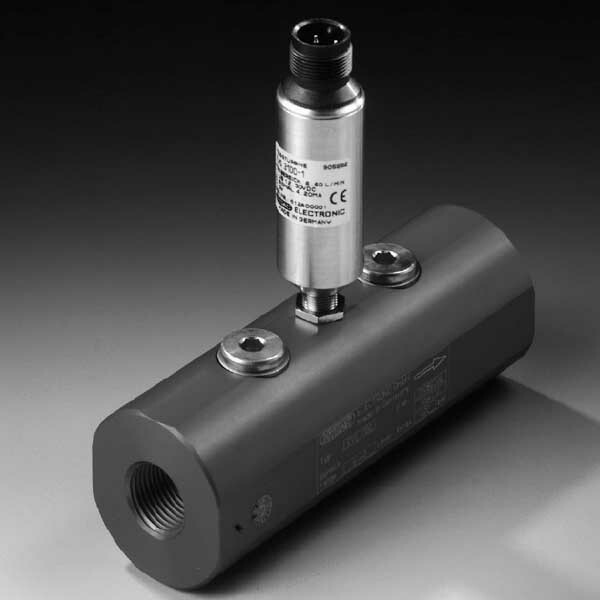 The design of the flow rate transmitters of the EVS 3100 series (aluminium series) is especially for use in hydraulic and other fluid technology systems. What’s more, they operate according to the turbine principle. I.e. the measurement and conversion of the speed of an impeller turning in the fluid flow are into a 4 … 20 mA analog signal. In addition, two further G1/4 threaded holes in the turbine housing allow the connection of additional units, e.g. temperature and pressure transmitters.